On Monday, the City Council passed a sweeping overhaul of Baltimore’s rental housing regulations calling for, among other things, one- and two-unit rental properties to be licensed and inspected, just as larger properties are. 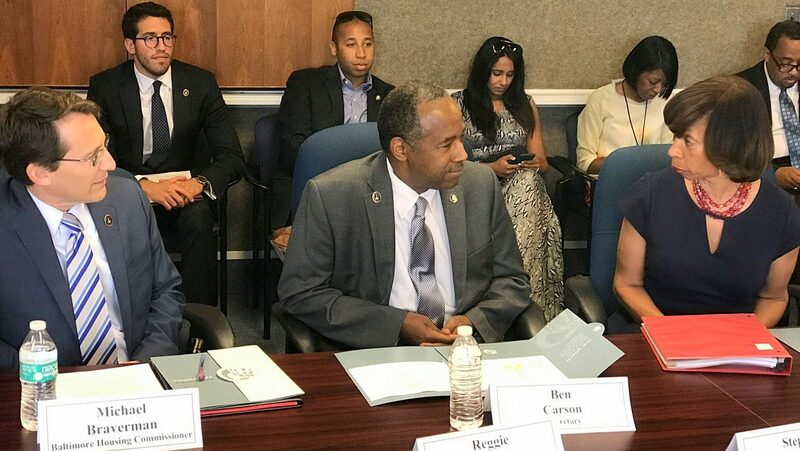 Catching Baltimore up to jurisdictions like Montgomery and Prince George’s counties, which enacted expansive rental licensing schemes decades ago, this legislation offers renters important protection from dangerous, unhealthy housing. This protection should be a win for Baltimore renters. However, the new law could potentially harm the very residents it intends to protect. We repeatedly cautioned city legislators and leaders while the bill was being drafted: if you increase the City’s power to shut down substandard properties through revoking rental licenses, you may also spike the number of evictions in Baltimore. With an estimated 64,000 rental units falling under the new licensing requirement, hundreds or even thousands of renters could find themselves on the street, through no fault of their own. The bill needed safeguards — we believe City Council bill 18-0185 didn’t get enough of them. Now we’re appealing to Mayor Catherine Pugh to take action to prevent the unintended consequence of additional housing insecurity and homelessness. We know the Mayor cares about this issue from the statements she made a year ago, amid reports of the devastating impact of the city’s Rent Court eviction process on Baltimore’s poorest residents. As we raise this issue, we must applaud the bill’s sponsor, Councilman Bill Henry, and the Administration, for moving this legislation forward with purpose and speed. Despite important flaws, it leaves behind decades of policy inaction. And yet, while the bill provides plenty to like for landlords and the city Housing department, it offers no immediate relief for renters, especially in the short term, before it has its intended effect of weeding out the worst landlord offenders. Under the provisions of the new law, landlords who fix violations promptly and pass inspection are rewarded with less frequent inspections — only once every three years. Problematic property owners with more code violations will receive licenses that require inspections annually, or every two years. The landlords will be inspected not by city employees, but by private, state-licensed home inspectors a shaky proposition. These inspectors are only accountable to the people who are paying them — the landlords — who are looking for leniency. For Baltimore Housing, this frees their inspectors to focus on the problem landlords, in theory a good outcome. But for renters, there is great potential peril in this new three-tier system. 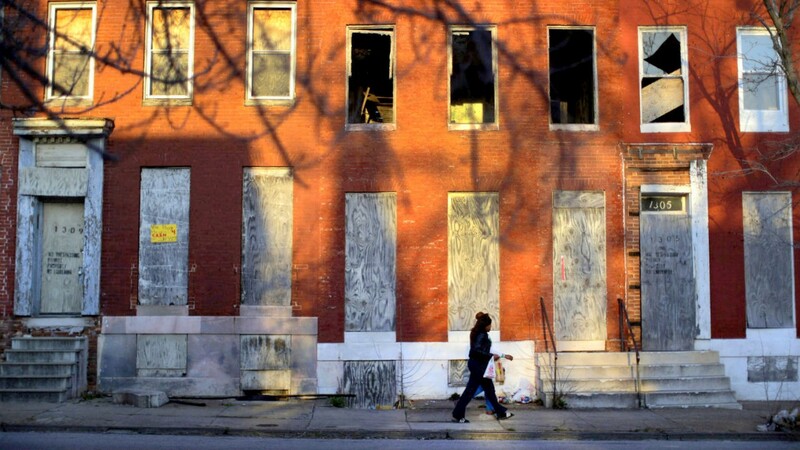 When the new law goes into effect at the end of the year, Baltimore Housing will face more situations than ever before in which it must decide whether and how it will wield its enforcement power, with potentially devastating consequences. With a license revoked, plus a finding that the property is unsafe, Housing can remove all occupants from a property within 24 hours – even if these occupants have no new housing. And yet the new law omits any obligation for the city to assist displaced renters in relocating. With a license revoked, plus a finding that the property is unsafe, Housing can remove all its occupants. Housing will continue to have discretion to help out whenever it orders a property vacated. The agency may help arrange rehousing, including financial assistance, and it may sue the property owner for the costs. But that discretion is currently applied only in some instances when money is available, but not all. Past experience does not inspire confidence. Consider the condemnation of the Bell Foundry art building in late 2016. Tenants were evicted in hours – left in the cold and counting on online crowdfunding for assistance. This perverse outcome could be a ticking time bomb as the city implements the new rental license law in 2019. The “collateral damage” will be low-income, predominantly Black women and their children who are disproportionately represented in the low-end rental market, thanks to decade upon decade of structural racism. The Renters United coalition of local civic groups repeatedly offered feedback and counter-proposals both to Housing and to City Council. We strongly advised against a rental licensing scheme that potentially punishes the people it intends to protect. We asked that the bill require the City to assist in relocating families displaced by this law and to include a meager $5 increase in the annual rental unit registration fee, to be deposited in the City’s Affordable Housing Trust Fund, thereby generating approximately $500,000 to pay for relocation as necessary. The funds could be used to help with moving expenses, or to cover a security deposit or the first month’s rent. This modest funding likely would not cover the actual financial harm to renters, but it was offered as a starting point. At Housing’s discretion, it could be used to help with moving expenses, or to cover a security deposit or the first month’s rent. When Councilman Brandon Scott moved to include these provisions in the bill, his fellow Council Judiciary committee members sat silently, and the motion failed. Instead, Councilman John Bullock’s amendment, supported by Housing and adopted by the committee, will require the highest-risk rental properties to bear an added per-unit fee of $15, earmarked for the Trust Fund. This is progress, but it means relocation money will not be generated for at least two more years, when the City believes it will have sufficient data to conduct a risk assessment. Furthermore, these extra funds are not dedicated. The amendment places no obligation on the City to use this future revenue for re-housing displaced renters. Dispossession and displacement are predictable consequences of this bill in its present form. Only additional legislation can correct this. We hold Mayor Pugh to her word that she will not tolerate any increase in the risk of eviction and homelessness. With the budget currently being finalized, we call on Mayor Pugh and the City Council to earmark at least $100,000 for relocation assistance. She must lead her agency and the Council to take swift action to generate adequate funding and institutionalize assistance in the re-housing process. These safeguards will mean that renting families will not suffer the unconscionable effects of eviction on educational achievement, employment, and mental health. Eviction must not become the price that City residents pay for housing reform.